Dario Robleto tours us through his exhibition, Set-lists for a Setting Sun; Gregg Wilhelm and Patrick Tandy discuss the zine, Geo Poe; and Drs. 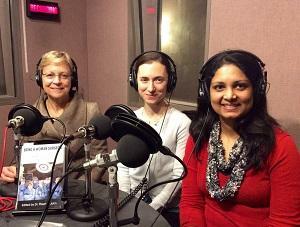 Preeti John, Adriana Laser, and Martha Zeiger share their experiences as women surgeons. Dario Robleto talks with Aaron Henkin at his exhibition, "Setlists for a Setting Sun"
Setlists for a Setting Sun – it’s an aptly lyrical title for the Dario Robleto exhibition currently on display at the BMA. The Texas-based artist is part poet, part music-lover, part scientist, part historian, and part philosopher. And when he mixes those wide-ranging passions together, the result is something you might call ‘sculpture’… but he prefers the term ‘materialist poetry.’ Producer Aaron Henkin visits with Robleto at the BMA for a tour through the exhibition. Last year, Gregg Wilhelm of CityLit Project invited 14 local writers to create original micro-fiction inspired by the life and death of Edgar Allan Poe. Then he ‘geo-cached’ the stories, sending Poe fans on a literary scavenger-hunt around the city… with decidedly mixed results. The stories themselves, however, proved to be quite popular, and that gave Wilhelm an idea. 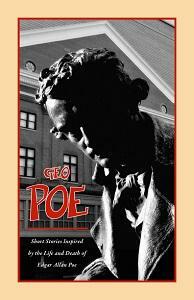 He and Eight Stone Press publisher William P. Tandy joined forces to produce the zine, Geo Poe. Wilhelm and Tandy join producer Lisa Morgan in studio this week with the details. Gregg Willhelm & William Patrick Tandy discuss "Geo Poe"
There are credentials, and then there are credentials. In this segment of the program, we’re joined by Dr. Preeti John, critical care surgeon and acting chief of the surgical ICU at the Baltimore VA Medical Center, Dr. Adriana Laser, vascular surgery fellow at the University of Maryland, and Dr. Martha Zeiger, chief of endocrine surgery and associate vice-chair of surgery at Johns Hopkins. These medical specialists are just three of the sixty accomplished professionals who've shared their stories in a new anthology titled, Being a Woman Surgeon. 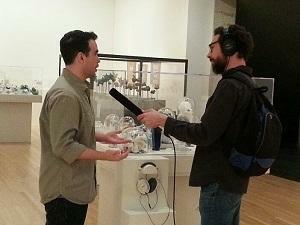 They join us this week for a conversation with Aaron Henkin.